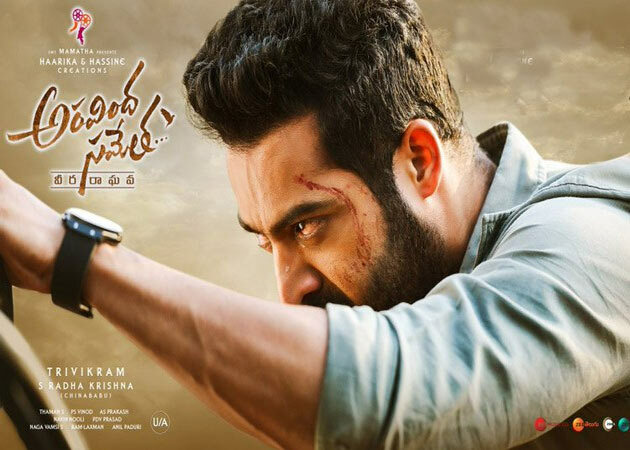 'Aravinda Sametha' opened to packed houses on Thursday (October 11th). This NTR-starrer attained positive word of mouth and fantabulous openings across the World. Unfortunately, Piracy which has become a biggest threat for Film Industry could have a negative impact on the Box Office revenue of 'Aravinda Sametha'. Screenshots of the film have been shared on the Social Media since the beginning of Benefit Show at 12.30 am. From Title Cards to Hero Introduction, Fights, Dance Moments and Other Highlights, All of them have been shared on the social media. It's more like killing the movie-watching experience of millions of people. This is what happened in the case of 'Baahubali', 'Rangasthalam' and 'Bharat Ane Nenu' as well. These screenshots & clips have been circulated through the Twitter Handles allegedly operated by the rival fans. In future, Filmmakers & Buyers might consider the implementation of the rule preventing people from carrying their mobile phones into the theatres.